Amid the reports that Ben Affleck is ‘finished’ as Batman, we still have a belief that he’s not finished but rather stepping back to let a different story be told… for now. Our understanding of Matt Reeves’ The Batman movie has always been about a younger Batman in his earlier days going up against what would become his Rogues Gallery, remember the brilliant ‘20 years in Gotham’ line in Batman V Superman? Well, that. And it seems we’re not alone as actor Ray Fisher, who played Cyborg in Justice League and briefly in BvS, seems of the same opinion: “It’s my understanding that it’s going to be a younger take on Batman,” Fisher says. 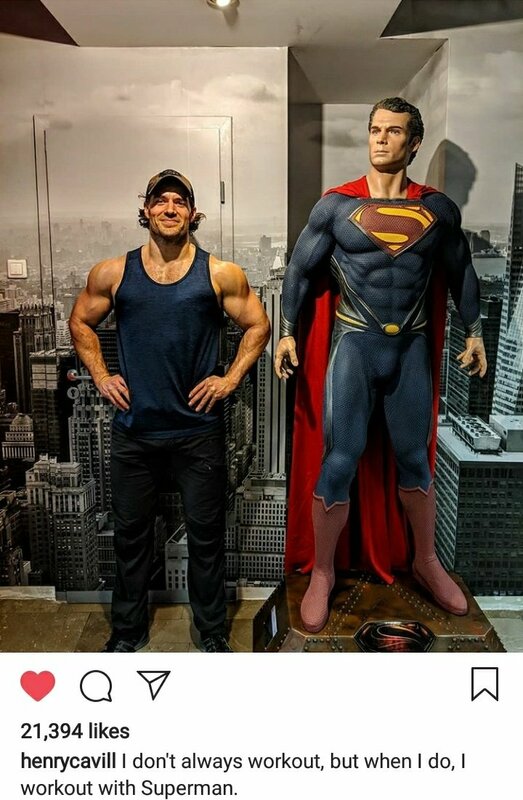 Interestingly, speaking of Cavill, the actor posted this below image on his Instagram earlier today. getting fans’ hopes up… could he returning to the Man of Steel? After the story about James Gunn yesterday, it seems that Warners are still looking to bring the big blue boyscout back. So there’s still hope… and we all know that’s what the S stands for on Superman’s chest.